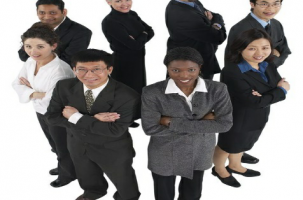 The top priority for many organizations today when it comes to recruitment and hiring should be creating and maintaining a diverse workforce who can move the organization forward. First, human resource (HR) managers and recruiters must institute various, inclusive strategies that specifically promote diversity. Secondly, they must review (and continuously review) their current workforce so they know what it looks like. In addition, HR recruiters must write clear job descriptions that explicitly outline each vacant position’s duties. After posting the open position, and the organization’s initial applicant pool reveals a lack of diverse candidates, the organization should reevaluate the job postings and repost, if necessary, in hopes of additional candidates responding to the revise posting. This is very important for leadership and IT-related positions in which there is underrepresentation of women and minorities. Statistics from the Pew Research Center validates this as “the share of female CEOs of Fortune 500 companies topped five percent for the first time in the first quarter of 2017, with 27 women heading major firms.” Such a statistic is disheartening and illustrates why HR managers and recruiters have some major work ahead in making diversity a top priority as we start 2018. Why wasn’t Mrs. Apple chosen for the position? Who was the other candidate? What makes Mrs. Apple inferior to the selected candidate? These are just a few questions that may be raised by the EEO officer if a candidate is not selected but may be a viable fit for the position. It is also worth noting that creating and utilizing a hiring rubric with a scale system to evaluate candidates based on specific categories is a meaningful way to screen all candidates using a level playing field. In closing and simply put, diversity matters and time’s up! Now is the time for organizations to work hard to include those who are most often underrepresented. With the above-mentioned tips, organizations will not only diversify their workforce but also create opportunities for minorities and women who are qualified to carry out their mission and move the organization forward.